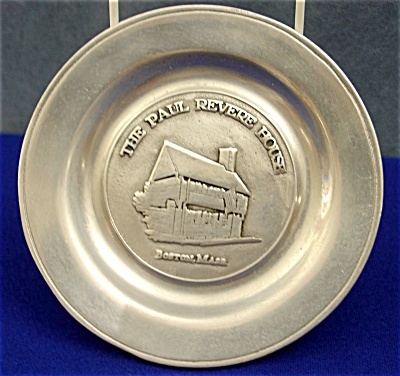 The front center has the house of Paul Revere embossed on a Armetale metal plate. The metal is a unique, non-toxic aluminum-based alloy. On the front outer rim is some scuff/scratch marks from use.